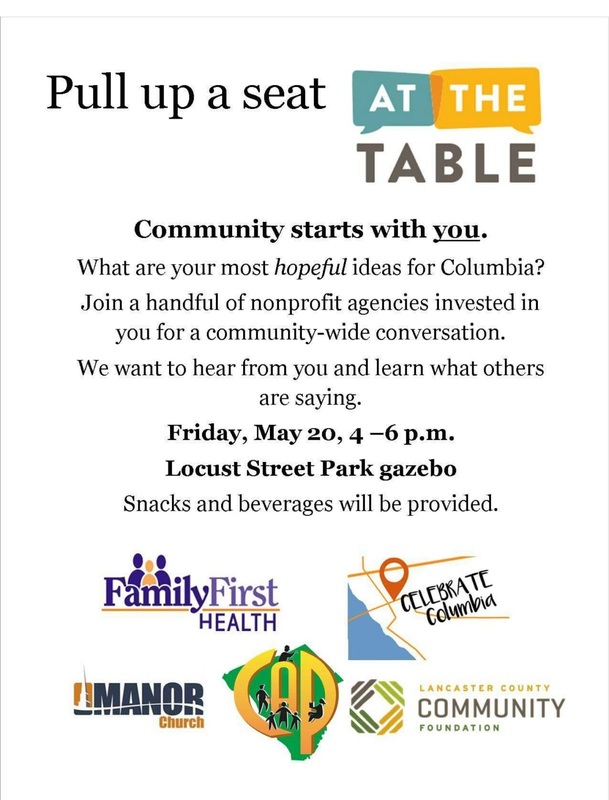 A group of non-profit organizations will meet at the Locust Street Park gazebo to hear your concerns about Columbia on May 20, 4-6 p.m.
Because no matter how good a story is, someone will make ignorant comments and so I will tell this with limited detail. Some time ago, I had a situation with a wild animal in my yard. I called several agencies with zero luck. Finally as my last resort I decided to call the borough police. I hesitated because I was afraid they might have to kill the animal. They went out of their way to be helpful and the situation was resolved to everyone's satisfaction. I sincerely appreciated their patience and help. I do not believe for a minute that any of them would want to shoot a dog. Put the blame where it belongs, on the owner. How does this have anything to do with the article above? With all the Negative Nelies in this town we should be happy for all interested parties. Sometimes it is easier for someone from the outside to see problems you have. It looks like they have social agencies represented to answer questions people may and direct them for proper help. It is probably part of the church soisl and mission ministry. Maybe some of the Columbia can reach out to them and assist in this project. Or they can just continue to cry anonymously and with ignorance narrow minds. Does anyone know where Family First Health is going to be in Columbia?